Feel refreshed and revitalized with the Levoit True HEPA Air Purifier. The air purifier uses a 3 stage filter that includes True HEPA (High Efficiency Particulate Air), Pre-Filter, and Activated Carbon filters to remove 99.97% of dust, allergens, bacteria and odors. With a CADR rating of 135+, this home essential can provide fresh air up to 322 ft² (30 m²), making it perfect for living rooms, bedrooms, or even offices. The air purifier is ideal for relieving seasonal allergies, people sensitive to air quality, or those who want to improve the air quality in their households. Perfect air purifier for pet owners, children, elderly, or for anyone wanting to improve air quality. 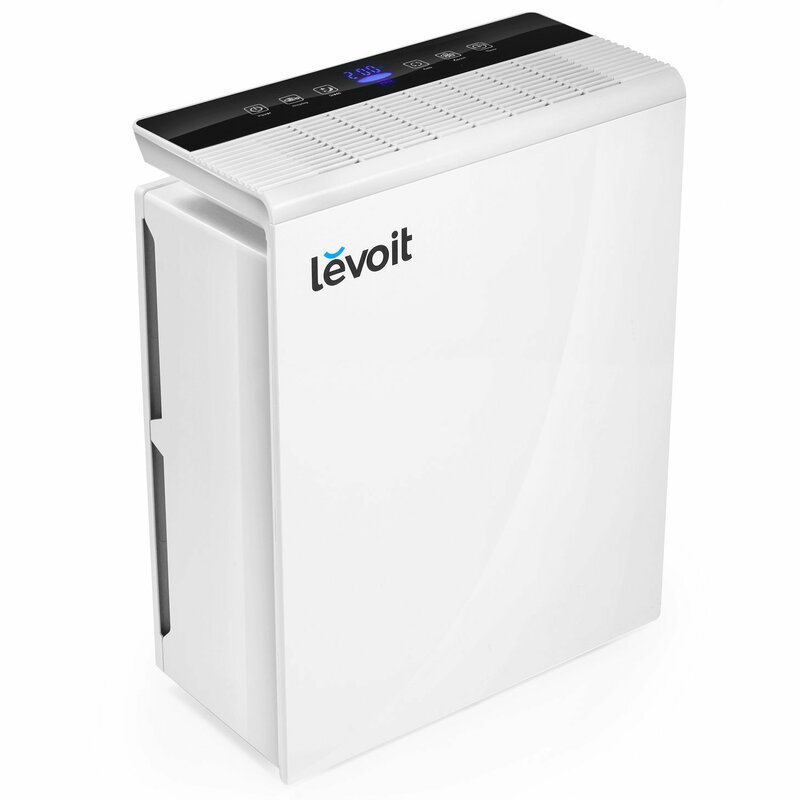 The Levoit True HEPA Air Purifier’s intuitive touch control panel makes it easy to setup and use. Customize your settings by selecting from the three fan speeds and timer for up to 12 hours to deliver clean air into your living spaces. You can also set the air purifier to Sleep Mode, allowing you to sleep well into the night while the purifier produces fresh clean air quietly. • The back cover of the device must be placed back on the unit in order for it to power on. • Highly recommend to replace filter every 6 months. • 1 x True HEPA Air Purifier. • 1 x Activated Carbon Filter. • 1 x True HEPA/Fine Preliminary Filter. • 1 x User Manual.